On November 30th, the ballots for British Columbia’s third referendum on electoral reform in 18 years are due. The results, which should be released in early December, will add to the national debate on electoral reform. But what are the contours of this debate? The current electoral system in place federally and in most provinces and municipalities, including BC, is colloquially referred to as First Past the Post (FPTP). In this system, formally known as the Single Member Plurality system (SMP), the candidate who receives the most votes in a given riding wins the seat, and the rest of the votes are effectively discarded. Several disadvantages to SMP have emerged in the debates surrounding electoral reform. Because it takes only a small vote margin to flip a seat, the SMP system over-rewards more successful parties, leading them to win a far bigger proportion of seats than the popular vote would suggest. Consequently, it hurts smaller parties and limits the number of parties that have a chance at entering the legislature. It also encourages strategic voting, as votes for parties with a low chance of winning in a given riding are effectively wasted. Voters are thus encouraged to vote for the party most capable of beating their least-favourite party, rather than cast a vote for the party that genuinely fits them best. Despite being touted for producing stable majority governments, the SMP system has, on several occasions, produced minority governments. 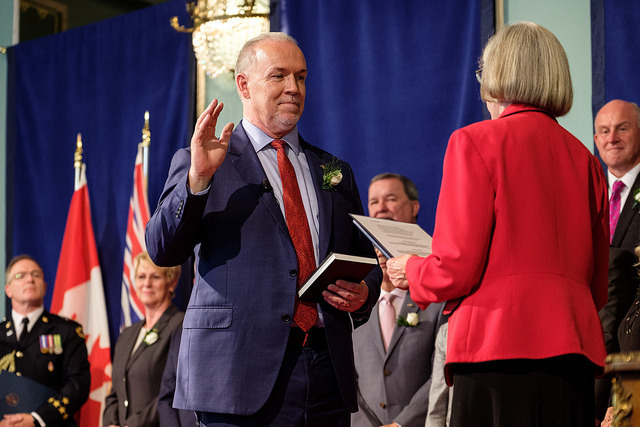 This is exemplified by BC’s own 2017 provincial election, which saw NDP leader John Horgan eventually take control after no party won a majority of seats. Because many voters feel their vote has no impact, FPTP can also lead to low turnout and disengagement from politics. But there are also advantages to FPTP. It is less complex than other systems, making voting simple and easy. It allows for clear local accountability of individual MPs to their constituents, and typically produces effective majority governments that don’t need to waste time forming coalitions. Beyond this, proponents of the FPTP system value its ability to act as a gatekeeper in preventing extremist parties on either side of the political spectrum from turning their small number of votes into seats. With both advantages and disadvantages to Canada’s currently hegemonic voting system, the debate marches on. So, what are the alternatives to SMP? Proponents of the broad alternative to FPTP, proportional representation (PR), argue that FPTP fails to deliver on one of the fundamental principles of democracy: representation. Proportional representation, whereby the proportion of seats allocated to a party reflects its popular vote, is argued to produce more equitable results that represent the will of the population as a whole. Because PR often leaves no single party with a majority of seats, coalition governments are common. The formation of coalition governments encourages compromise and cooperation, rather than adversity and obstructionist partisanship. While proportional representation is closer to the traditional democratic ideal than SMP, SMP also brings certain benefits that proportional representation simply cannot provide. FPTP is arguably one of the factors that have brought long-term stability to Canada’s system and has prevented it from experiencing true political turmoil. The brokerage parties encouraged by SMP can also be seen through a positive lens, acting as a uniting force in a country with dramatic regional cleavages. The question of which electoral system is better for Canada might thus rely on what one values in a democracy, and what one is willing to cede in its name. In debates around proportional representation, many suggest that a Mixed Member Proportional (MMP) system is the most desirable, as it provides each voter with two votes: one vote for the candidate they want to represent their riding, and one vote for their preferred party. Some seats are then allocated to representatives of ridings, and the remaining top-up seats are filled proportionally based on the votes for each party. While MMP is a commonly proposed alternative to SMP, the BC referendum gives voters more than just one option. Voters in this referendum are first asked whether or not to pursue electoral reform and install proportional representation. They are then asked which of three PR electoral systems the voter would prefer. The first alternative option presented to BC voters is the aforementioned MMP system which would divide the legislature’s seats into regional seats and district seats, with some being chosen proportionally and others by FPTP. The second is a Dual Member Proportional (DMP) system, which also involves creating a divide between urban and rural districts. Urban and semi-urban areas are allocated two seats, while rural areas are given only one. For this system, an urban district’s second seat might not go to the candidate who won second place, as the second seats are allocated to parties proportional to the provincial outcome. The last option, Rural-Urban Proportional (RUP), combines MMP for rural areas, and what is known as a single transferable vote (STV) for everywhere else. In an STV system, voters rank the candidates. The lowest ranking candidate is then removed from the ballot, with this process continuing in rounds until one candidate has reached a majority of the vote. Upon examining the details of these proposed alternatives, the virtue of SMP’s simplicity becomes more pronounced. The complexity of electoral reform might be having an impact on voter turnout. Since the start of the referendum voting period, concerns over low turnout have grown. As of publishing, turnout stands at around 18 percent. Although there is technically no legal turnout threshold for the results to be considered valid, low turnout threatens the legitimacy of any mandate drawn from a referendum. The last referendum concerning electoral reform in 2009 had a turnout of 55.12 percent, which is arguably also very low. BC thus has a long way to go in terms of turnout to avoid calls of illegitimacy. Confusion over the proposed electoral systems, coupled with Canada Post’s strike, could make turnout the biggest issue emerging from this referendum. The last two referenda concerning electoral reform failed to meet their designated support thresholds, which were set at 60 percent. For this one, however, the rules have been changed: the threshold has been dropped to 51 percent, and there is no longer the requirement for a majority of voters in 60 percent of ridings to be in favour, which skews voter influence in favour of densely populated metropolitan areas. With these provisions, it would be possible to approve or reject electoral reform with the narrowest of margins. 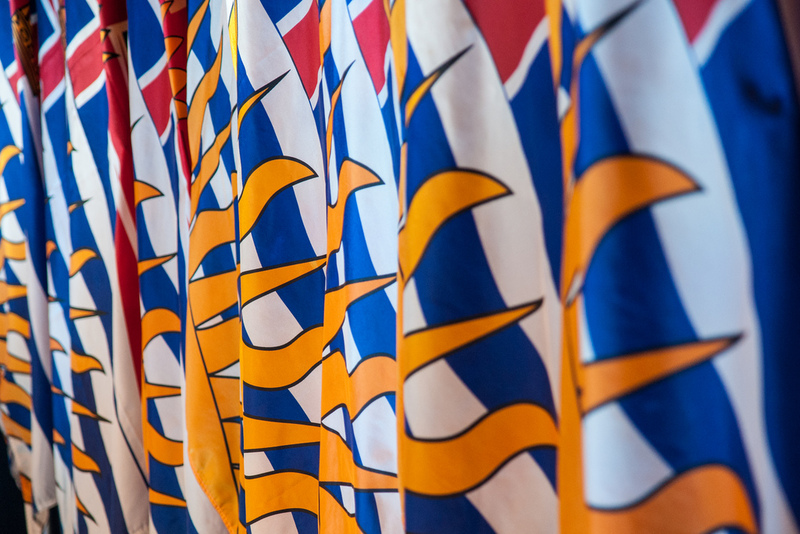 BC is not the only province to have held referenda on electoral reform in the past decade. In its non-binding plebiscite held in 2016, PEI voted in favour of electoral reform. However, it was denied action until the 2019 elections because of low turnout, which stood at 36.8 percent. If support for a proportional system reaches its threshold with the acceptable turnout, BC could pave the way for other provinces to (re)open the question of electoral reform. Provincial experimentation could also affect more than its own electorate: It might also trigger a resurgence of support for proportional representation at the federal level. Proponents of reform were outraged when Justin Trudeau removed electoral reform from his mandate in 2017 after the Liberals had centered their 2015 campaign on proportional representation. 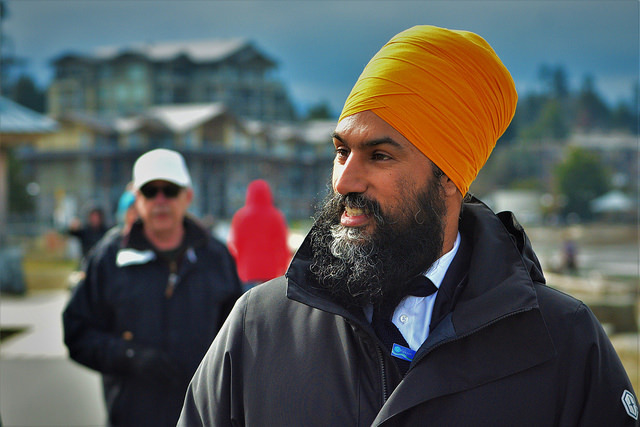 Jagmeet Singh, leader of the NDP, has pledged that if he wins the 2019 federal elections, they will be the last under FPTP. It is no surprise that the NDP is a proponent of proportional representation: In 2015, the NDP won only 44 of the House’s 338 seats despite earning 19.71% of the popular vote. Strategic voting in an FPTP system is inherently advantageous to the largest and most centrist parties – a position which the federal Liberals have comfortably maintained. Under proportional representation, left-leaning voters would no longer have to settle for ideological compromise when voting for candidates. A compromise would instead be the obligation of their elected MP’s through coalitions, as majority governments would be unlikely. In the most recent election, the Liberals managed a majority government, winning 54% of the seats with just 39.57% of the popular vote. This means that in one of the world’s most stable democracies, more than half of Canadian voters didn’t vote for the leader of their country. It is thus no wonder that this system has been questioned. BC voters will deliver their verdict on electoral reform on November 30th. Regardless of the result, the end of this debate is nowhere in sight.